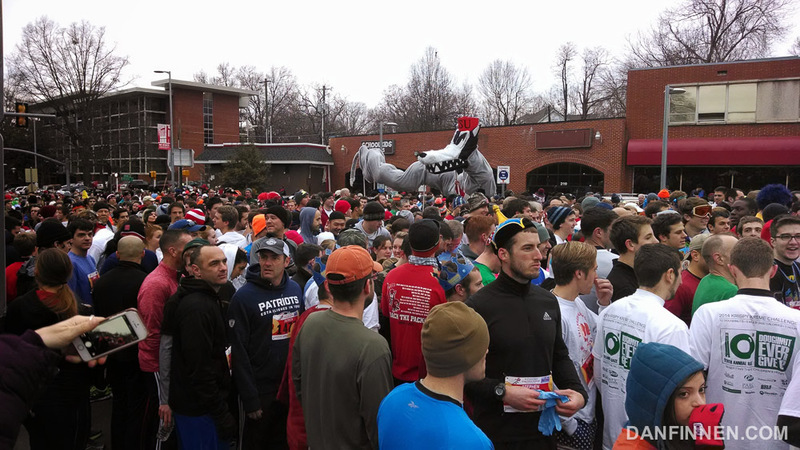 The crowd at the starting line, where thousands of stomachs trembled in fear. I don’t know when it first came up in conversation, but suddenly we couldn’t stop talking about it. 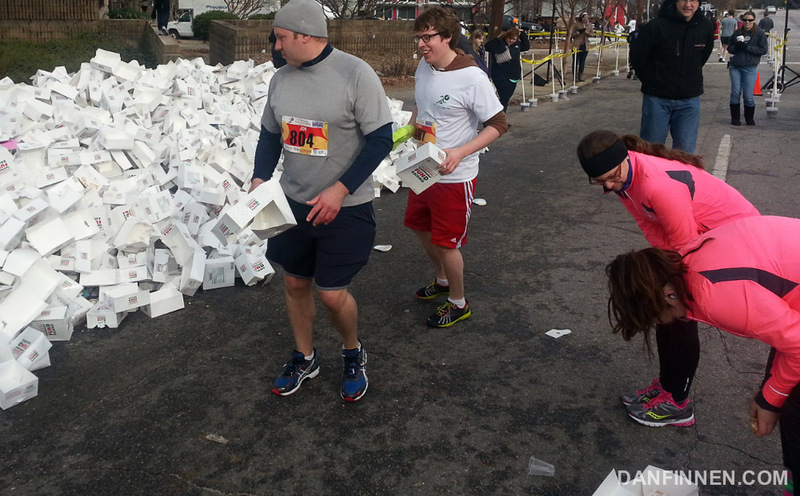 Somewhere in the United States, there was a race where one ate a bunch of donuts in the middle of running a race. It seemed insane. 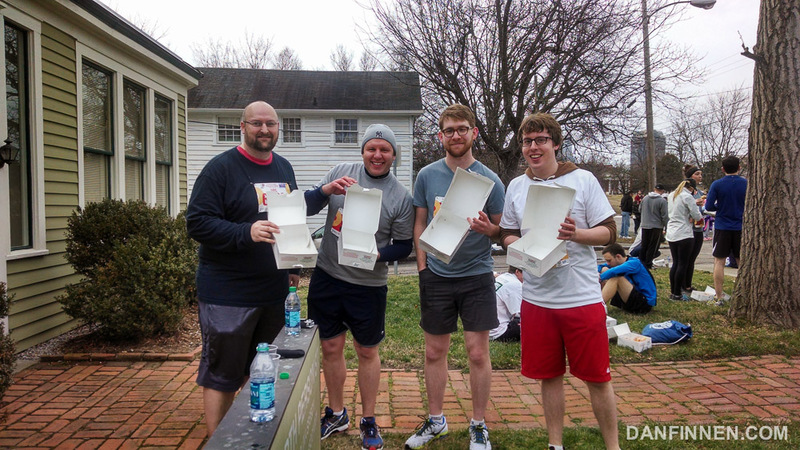 A few quick smartphone searches led us to the Krispy Kreme Challenge, a yearly event in Raliegh, North Carolina where challengers must run 2.5 miles, stop and wolf down 12 doughnuts, then run another 2.5 miles. We joked about doing it. We ended up doing it. Flash forward several months, and a crew of five of us were at the starting line, woefully underprepared and wondering what the hell we got ourselves into. We were in good company; several thousand people, many costumed, were all standing around us, waiting for the race to begin. Those of you who may be lucky enough not to live in the northern half of the United States may be unaware that this winter has been particularly brutal. 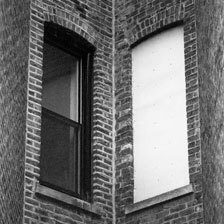 In Chicago, a day when the thermometer reaches twenty degrees is considered a heat wave, and so much snow has piled on the ground that people have stopped even attempting to shovel it up. All of this is saying that I only managed a few runs for practice, and most of them were carefully (and slowly) stepping through slush and snow. The doughnuts that put the challenge in Krispy Kreme Challenge. I ate all those suckers. But you don’t care about the running part. You care about the doughnuts. I never found any Krispy Kremes in Chicago, so my brother and I did a test run of eating a bunch of the things while in Cincinnati over the holidays. We learned that the best way to eat the doughnuts quickly was the smash them together, forming some sort of sick, sweet bagel-like glob. A veteran of the race told us that he used water to rinse all the glaze off the doughnuts. Nobody said this was supposed to be pleasant. So with little training and a bit of indigestion lingering from the night before, we took off at the starting line. Three of us stayed together in a pack while we took on the surprisingly large hills of Raleigh. Struggling up a particularly steep incline, the 2.5 miles suddenly seemed like much more of a problem than we anticipated. However, we powered through and made it to the fabled doughnut portion of the race. Success never felt so unhealthy. When I grabbed a box of twelve doughnuts, the real test began. I ate the first Krispy Kreme like a normal doughnut, savoring the flavor, knowing that in a few short minutes, the very idea of a pastry would be the most repellent thing on the planet. I then mashed three doughnuts together and stormed through those. When I finished, I had eaten four doughnuts, but there was trouble in the jungle. My stomach was already begging for mercy, and I hadn’t even eaten half of my box yet. It was time for drastic action. I mashed all seven remaining doughnuts into one mass of sugar and dough and started chowing down. I had barely any water, so I just paced in a circle and force fed myself Krispy Kremes. It took me twenty minutes, but I finally got it all down. Towards the last few bites, it was mind over matter as my body repeatedly warned me it wanted nothing more than to expel all the 2800 calories out of my mouth hole at high velocity. Verm managed to snap this photo of us tossing our empty boxes in the official pile, which also happened to capture somebody who was having a bit of trouble with the whole ‘keeping it down’ part of the equation. And then it was back to the running. Or, to be more accurate, walking while trying not to puke. My brother and I took the first half of the second half slowly, marching up some more hills. Around us a few people vomited. Many were carrying their boxes with them, shamefully full of uneaten doughnuts. In front of me a little girl was trying to pass off even more doughnuts to runners, and one brave woman nabbed one and ate it, bringing her total up to a baker’s dozen. We cheered. I felt surprisingly good after walking a bit, and ended up jogging the last mile and a half. I guess it was the massive amount of carbs and sugar coursing through (and clogging) my arteries, but once my stomach accepted its fate it stopped protesting. I passed the finish line at 1 hour and thirty minutes, and immediately went back to the hotel and passed out from the biggest sugar crash I’ve ever experienced in my life. 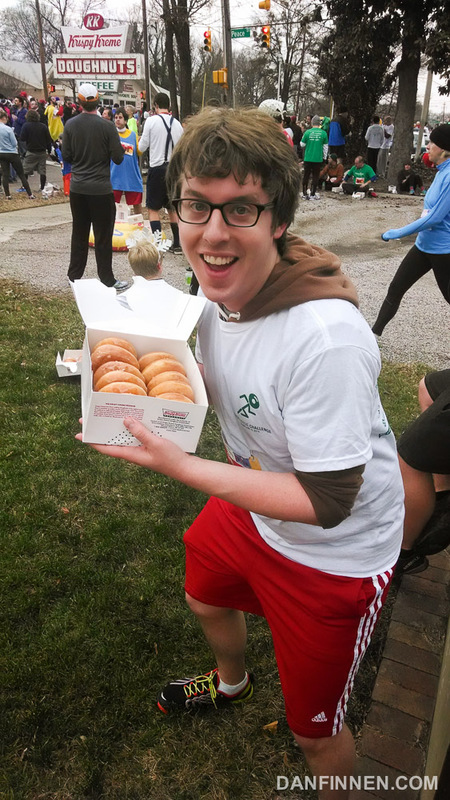 The Krispy Kreme Challenge was a blast. I don’t why we’re wired this way, but sometimes it feels fantastic to go out and do something completely stupid. Next year I’m doing it in under an hour.